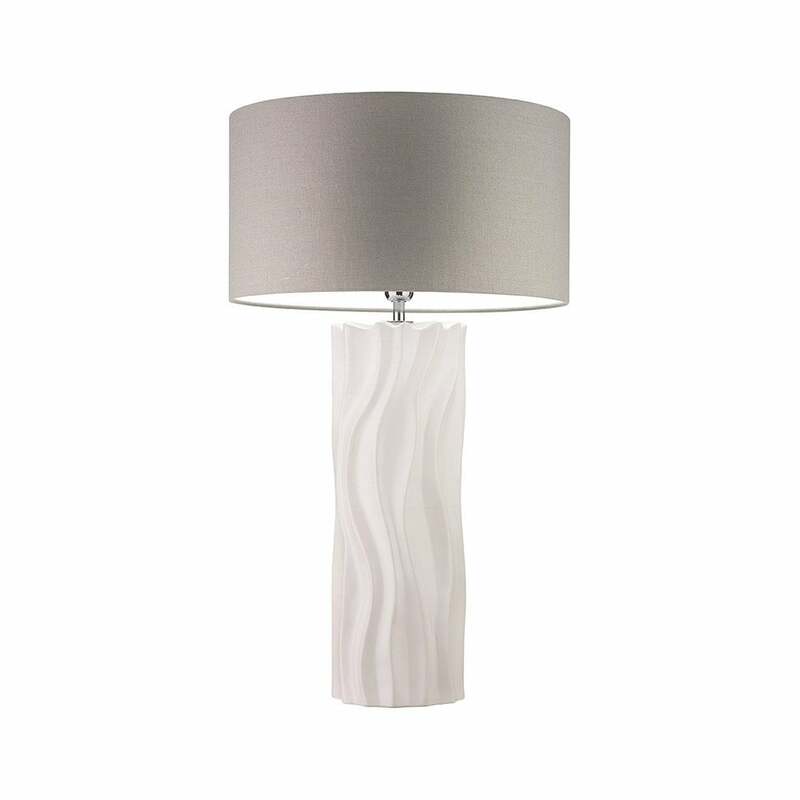 Gentle ripples cascade across the Willow Mist table lamp, reminiscent of calming waves across water. The crafted base achieves natural serenity through delicate detailing across the earthly toned ceramic. The serene satin shade complements the ethereal qualities of the base. Choose from tranquil ivory or mist for the Willow Mist base. Select a complementing shade from a variety of colours and finishes to suit your interior styling scheme. The cool, crisp Willow Mist table lamp would be suited to a bedroom environment, styled with an Arctic Fox faux fur throw from Zinc Textiles for the ultimate luxurious retreat. Priced for 18" Flat Drum shade in silk with white PVC lining. Please contact us for other options.